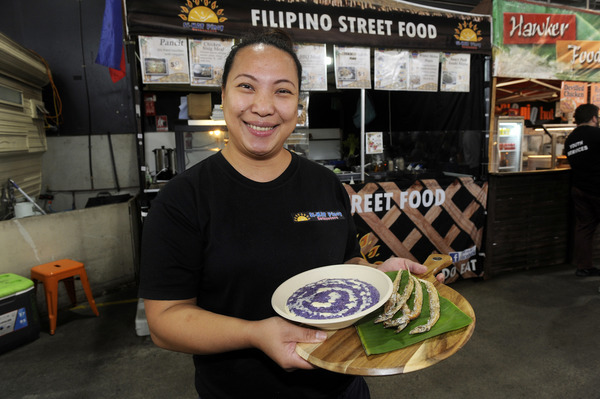 Outside of the upcoming Dandenong Market World Fare, you won’t get many opportunities to try such exotic dishes as a Creole octopus curry or the wildly purple ube champorado. The market’s diverse food traders will be creating one-off special delicacies for the festival on 24 March. 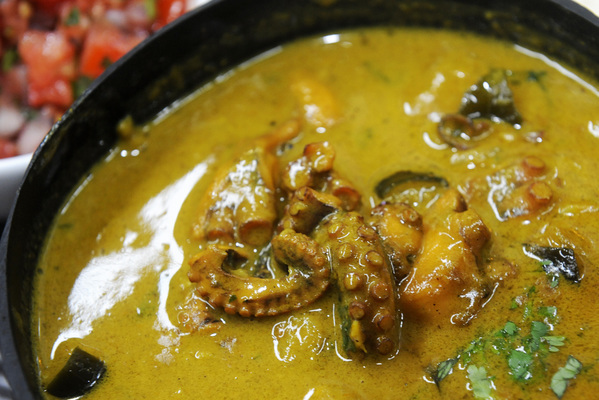 For example, the octopus curry is a traditional dish from the Seychelles – a region that is otherwise left off Melbourne’s culinary map. Delicious Mauritius owner Girish Ramjuttun imports the octopus from the Mauritian island of Rodrigues. It is regarded as the world’s best. He says octopus is best cooked after being frozen. 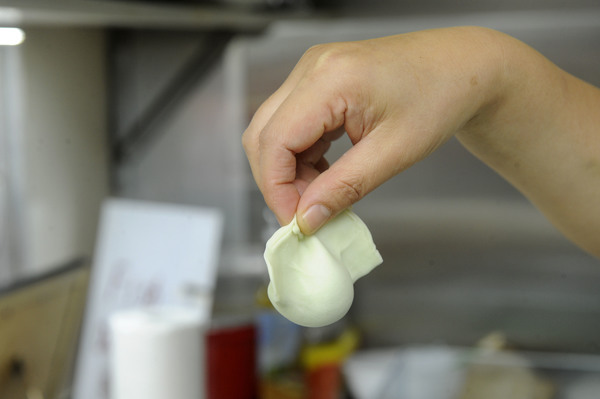 It allows it to be eaten as a surprisingly tender offering. His Creole dish bathes in a typically Seychelles-style of mild curry, blended with dry spices, ginger, garlic, eggplant and coconut milk. On the side is a hot tomato salsa-like chutney and roti bread. Having grown up with octopus on the table, Mr Ramjuttun was surprised that it was not so popular in Australia. Then he saw a billboard featuring an imposing 10-metre long octopus outside Melbourne Aquarium. He realised that perhaps Australians fear the amazing creature. He’d opened his eatery, originally called La Caze Mama (Your Mother’s House), in late 2016 due to the lack of options for Mauritian cuisine. “Mauritian food is close to my heart,” Mr Ramjuttun said. Meanwhile, your won’t get a more unique combination than the ube champorado at the Filipino eatery Si Kat Pinoy Eatscetera. 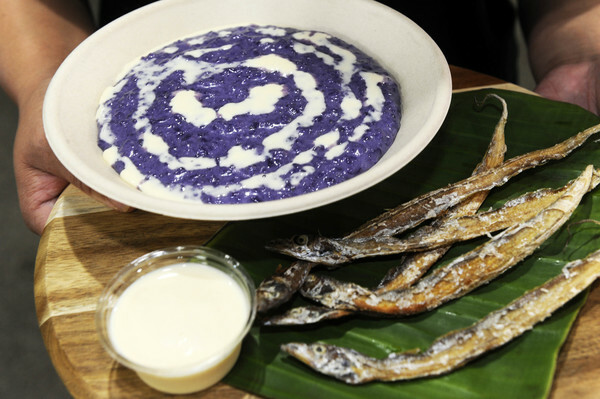 It’s a luminously purple rice pudding served with crispy dried fish on the side – a combination of sweet and salt. A popular breakfast or snack food in her hometown Dagupan City, Catherine Pascua says she swapped the champorado’s traditional chocolate rice pudding for a purple yam base. Another rare treat is to be found at San San’s Dumplings, where Xian Lim Chen offers a one-off layered pan-fried pancake of mince, onion, sping onions and secret spices with a traditional Chinese sauce. 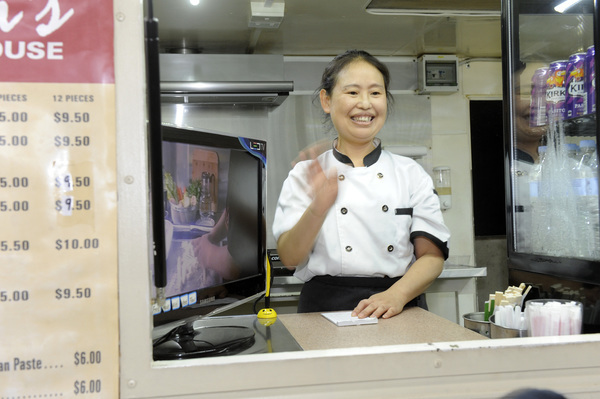 It will complement her hand-made shallow-fried dumplings that are something of a cult food at the market. They are a recipe handed down from her great-great-grandfather. More than 40,000 are expected to flock for the rare foodie treats, as well as a bevy of cultural performances, at the World Fare. It is at Dandenong Market on Sunday 24 March, 10am-4pm.